Acrylic poster holder with a strong curved aluminium base design. 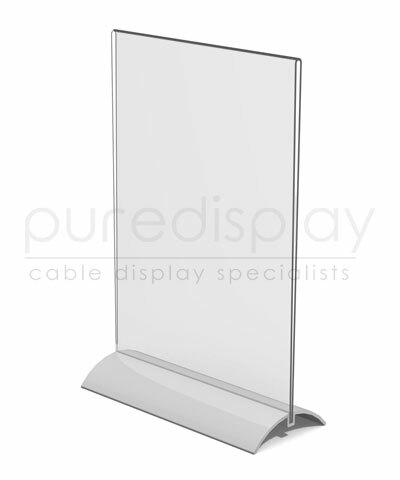 Ideal for displaying promotions, menus, information, pictures and much more. Suitable for any retail shop environment. Fits A4 size (297mm x 210mm).